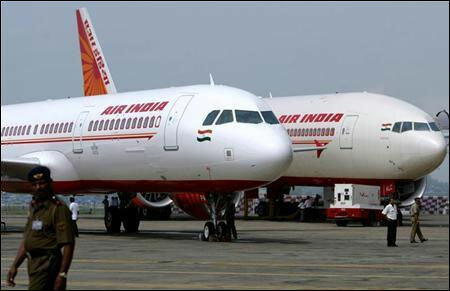 Flights within the northeastern region may be hit from New Year, with Air India threatening to stop its operations to airports like Tezpur, Lilabari and Shillong following non-payment of funds by the North East Council (NEC). The alleged failure of NEC to pay over Rs 100 crore (Rs 1 billion), due for two years, has also led Air India subsidiary Alliance Air not renewing the lease of three turbo-prop ATR planes operating to these cities, sources said in New Delhi. The NEC finances Alliance Air's operations in the crucial region each year through viability gap funding (VGF) under a MoU between the two sides. While Alliance Air submitted its VGF estimates in September last year for the grant of Rs 52 crore (Rs 520 million) and Rs 55 crore (Rs 550 million) for 2012 and 2013, the amount has not been paid to it so far, the sources said. The airline has been operating so far on the assumption that the funds would soon be available. The viability gap for this year is now estimated at Rs 60 crore (Rs 600 million), resulting in a severe cash crunch for Alliance Air which was in dire straits to maintain the operations to the crucial northeastern region, the sources said.